Our safe, humane pet fence is ideal for keeping your loved animal, within a specified area. A tiny computer worn on your pet's collar. The signal tells your pet where his boundaries are. Your pet is then trained to obey the signal. He/She receives a mild correction similar to static electricity. Your pet is startled by the correction but is never harmed in any way. 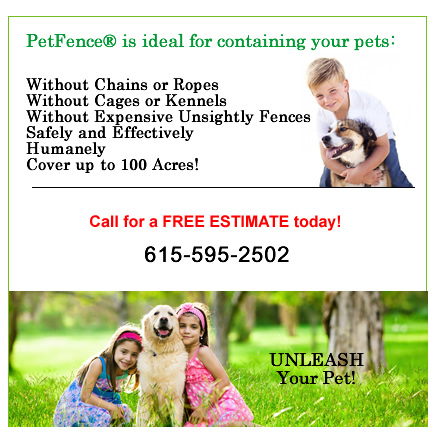 In fact, PetFence ® is the only system to be licensed by the Humane Society of the United States!